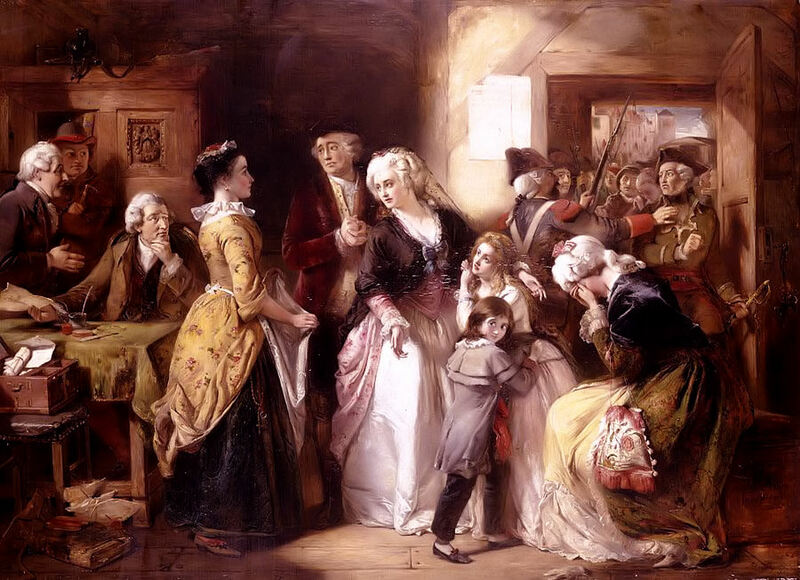 King Louis XVI was aware that he was behind enemy lines in Paris, but much of the hatred was focused on the idea of the monarchy itself and not him as a person. He was still scared of the people in Paris though, and Marie would start making decisions for him while he was paralyzed with fear. The two started to believe if they could escape the city of Paris, they would find friendly people in the outskirts and there would be a counter-revolution in his favor. He had been made aware that if he could get to Montmédy he could ally with General Bouillé, but was sure that he could get the Austrians to help too. Unfortunately he was scared to make this decision though, so the Queen was forced to talk him into it. Some scholars believe this actually may have worked had he made the decision quicker, but that is speculation at this point. The National Assembly would discuss what to do next soon after, especially since they knew that they had only been elected for one year terms. The Kings actions left them completely unsure of what to do moving forward, but they were sure they had to change the system of government. Most of the people favored a constitutional monarchy, where Louis would be a figurehead with no power. The royalists (who were pro-monarchy) wanted the people to vote in a new assembly in the hopes that it would be more balanced than before. The people would create a petition against the king while the assembly was debating and would spread it around for the people to sign. One major location for the petition was on the Champ de Mars greens (park like area), where thousands of demonstrators gathered to protest the King that had betrayed them (1791). The demonstrations quickly turned violent and the National Guard was brought in to keep the peace. Lafayette would declare martial law and tried to use his popularity to calm the crowd, but the people instead saw him as a rich noble. As Lafayette tried, liberal leaders (Georges Danton and Camille Desmoulins) gave fiery speeches to try to rile them back up. The protesters would attack the National Guard under Lafayette, who was forced to shoot warning shots over the heads of the people. When this didn’t work he realized he had no choice but to open fire on the crowd, or risk the lives of his men. The Guard would end up killing between 12-50 people, but so many people used this for propaganda, its difficult to narrow further than this. This incident would become known as the Champ de Mars Massacre and would cause both the National Guard and Lafayette himself to lose much of the public support they had before. Lafayette would quit the Guard the next day, being horrified at being placed in a situation where they had to make that choice. The government would be forced to shut down many radical newspapers (like Marat’s “L’Ami du Peuple”) and a number of liberal leaders would be forced into hiding for their roles in instigating the violence. This backlash would reverse in later years though, as those who were associated with the massacre on the governments side would be executed by later leaders.